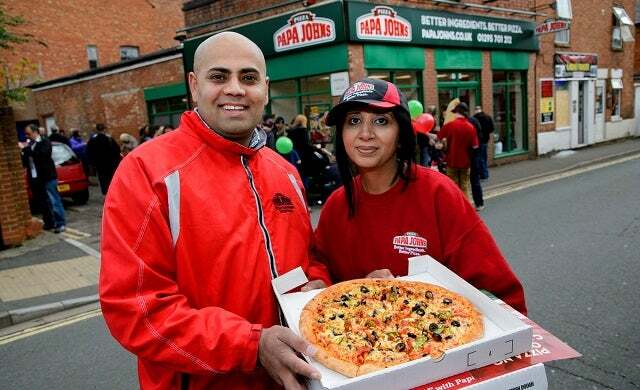 Pizza delivery chain Papa John’s has announced the opening of its latest outlet in Banbury, Oxfordshire. The store was acquired by serial franchisee Gurnek Singh; following a growing trend of franchisees opening multiple stores. The news follows the recent announcement that franchisee Dan Wilkinson has just opened his sixth Papa John’s in the North West of England. Papa John is the world’s largest pizza franchise after originating in the US in 1984. The global franchise has more than 4,300 stores worldwide and hopes to expand its UK presence further with more UK franchise opportunities available. “There are advantages of economies of scale by running more than one outlet and it offers the chance for expansion using a formula franchisees know works well. Additional information on franchise opportunities and packages can be found on the brand’s website.